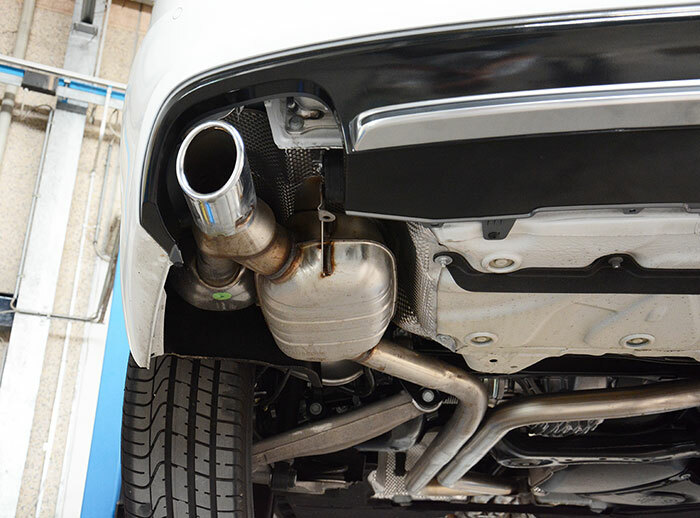 This model is equipped with the Sound Generator system. 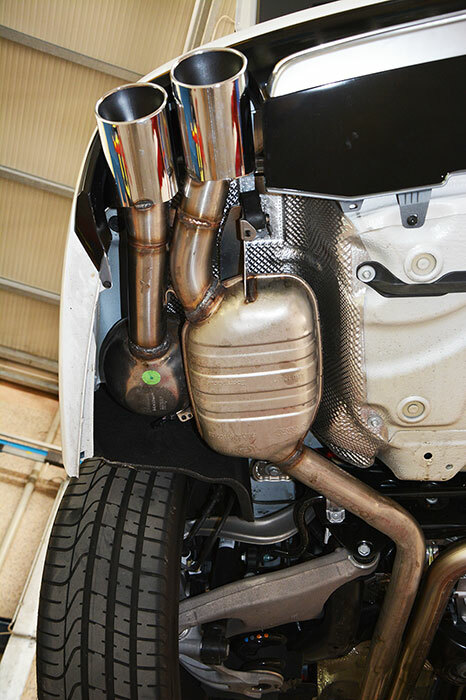 It's composed by a set of speakers enclosed in two round metal boxes attached directly to the rear mufflers. 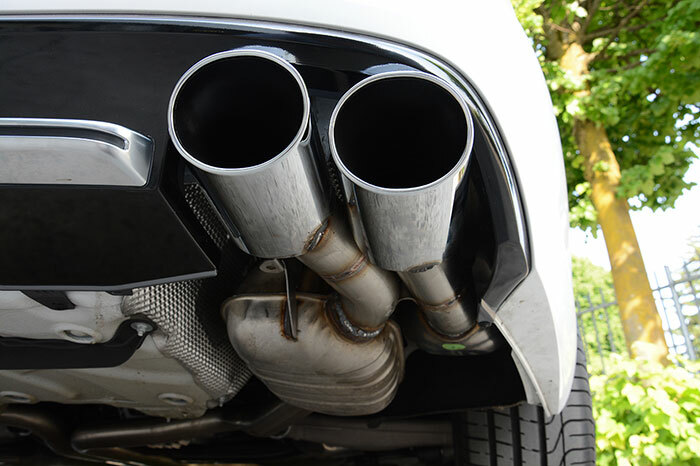 They emulate the sound of a petrol engine when the car is set in "dynamic" or "individual" driving mode. 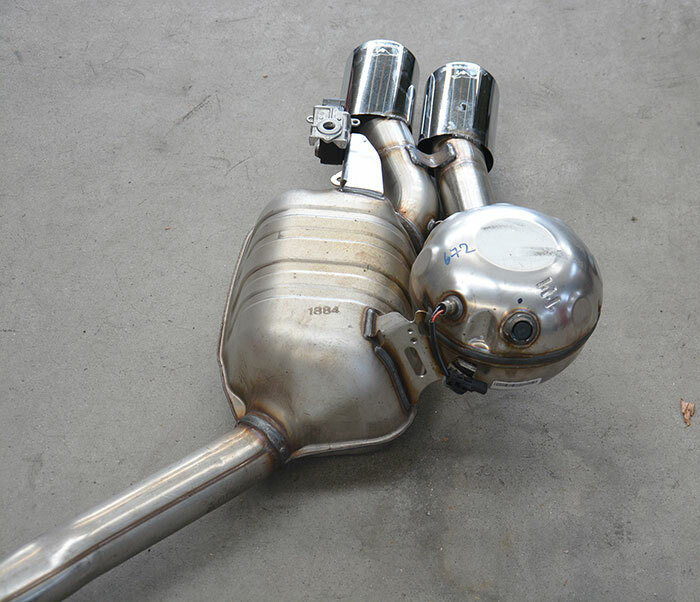 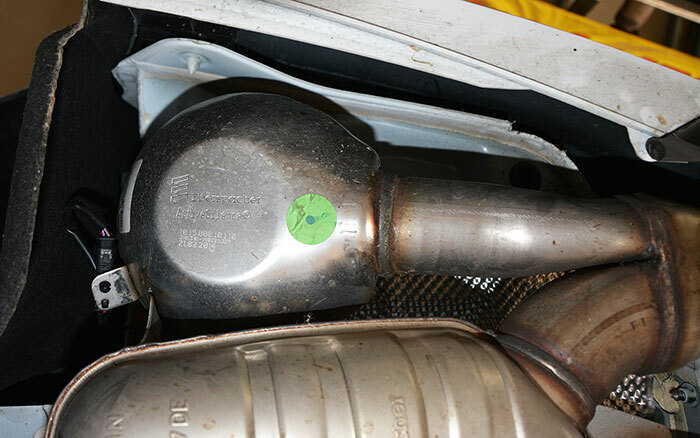 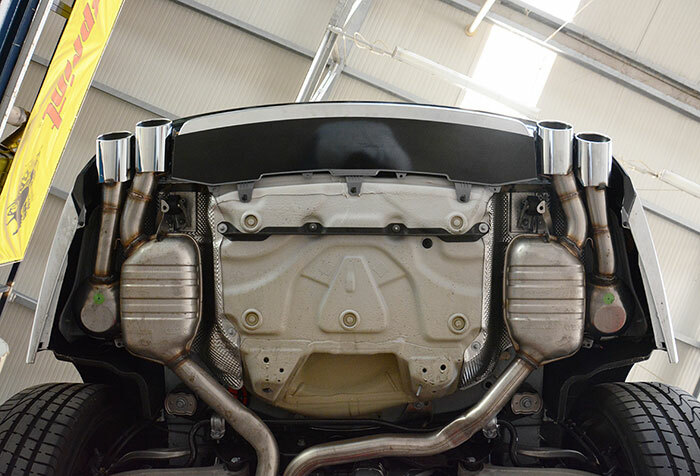 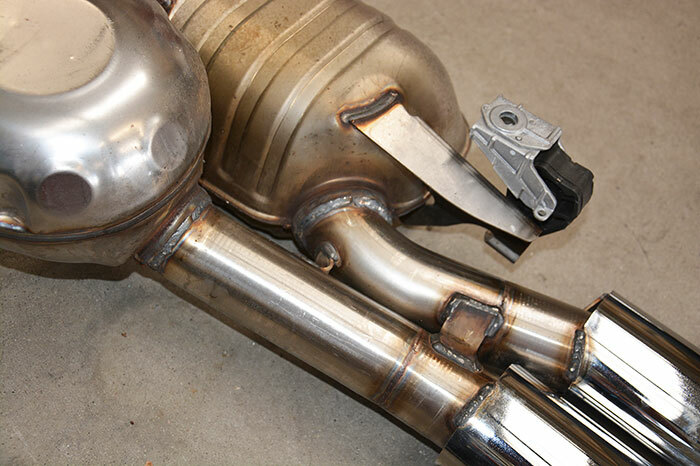 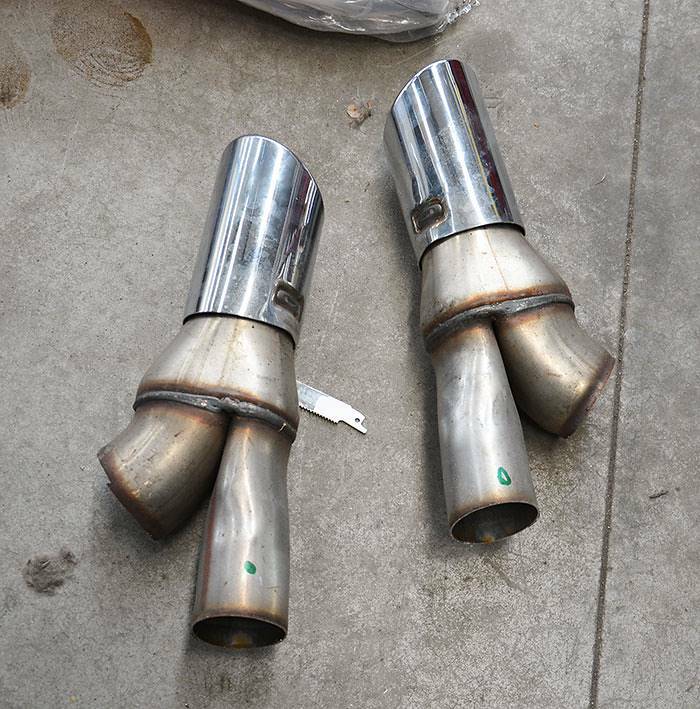 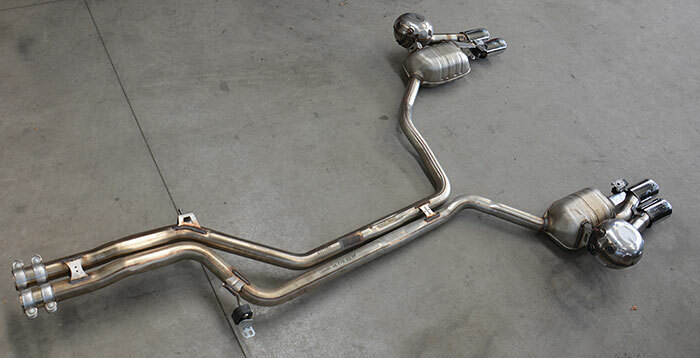 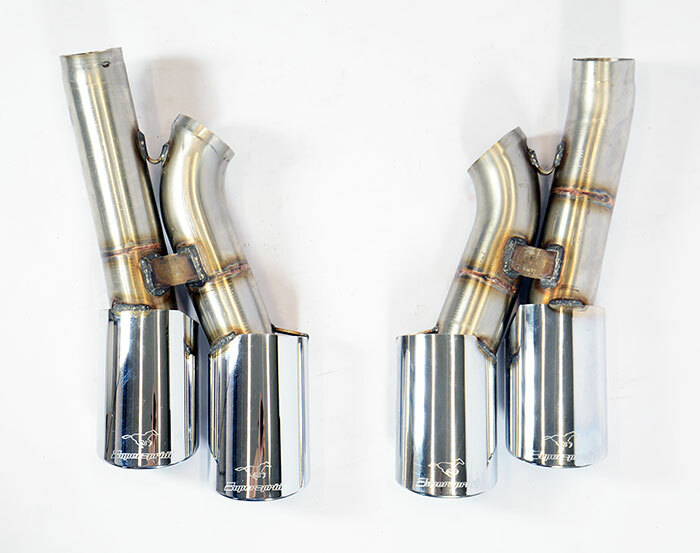 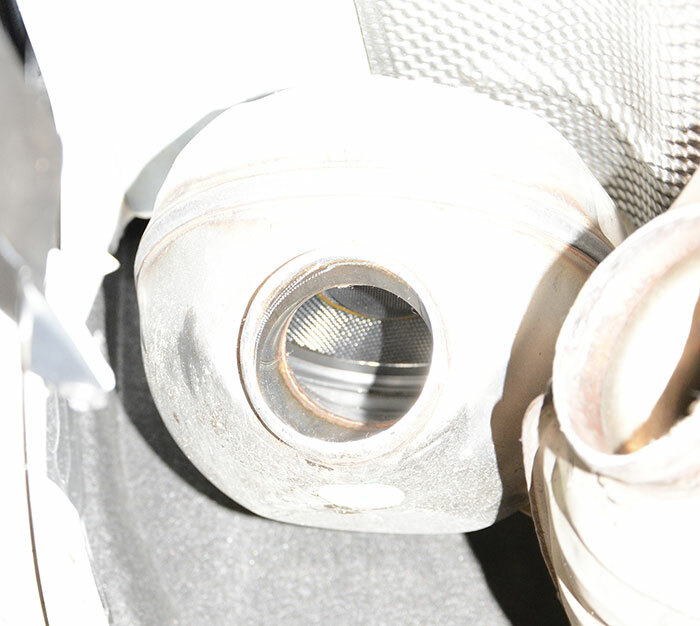 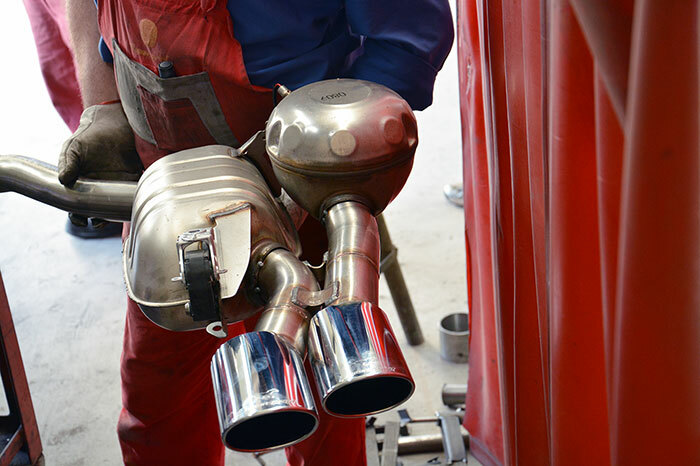 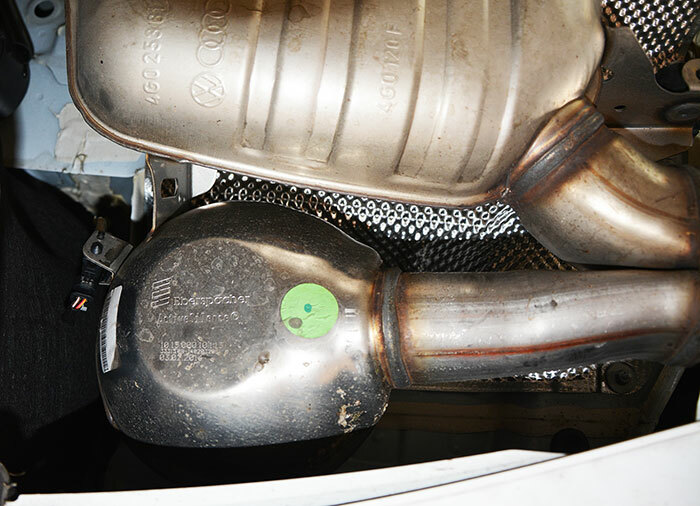 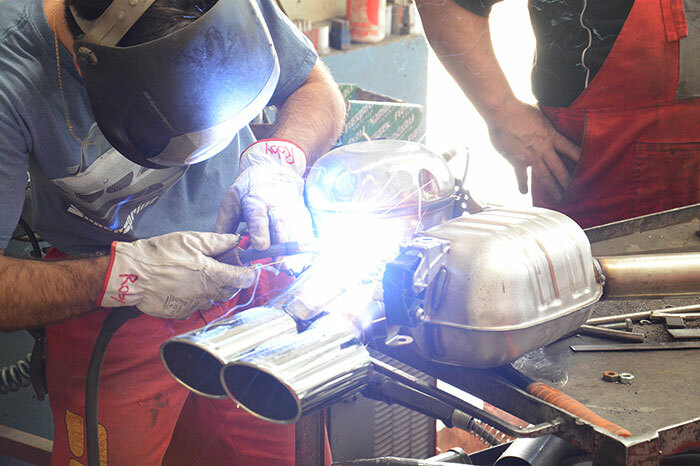 Fitting the Supersprint mufflers or the rear pipes involves the removal of the Sound Generators. 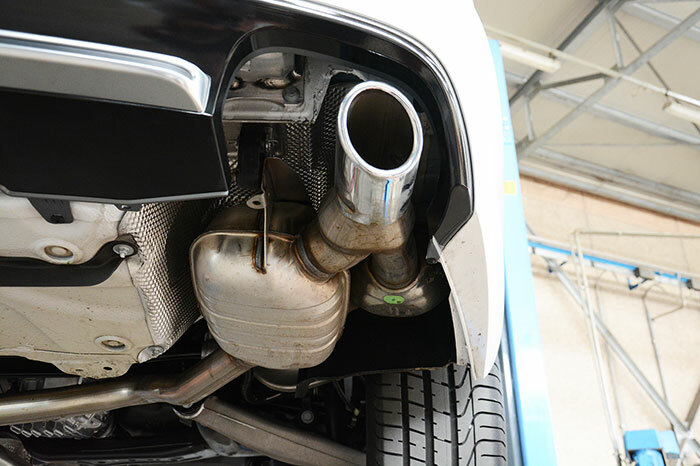 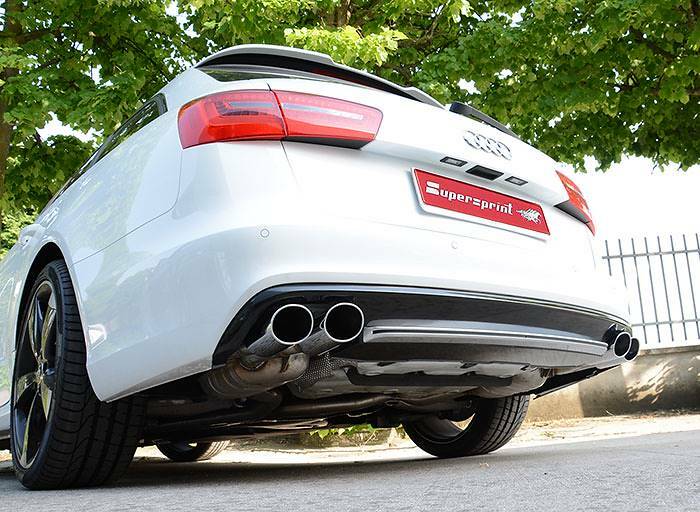 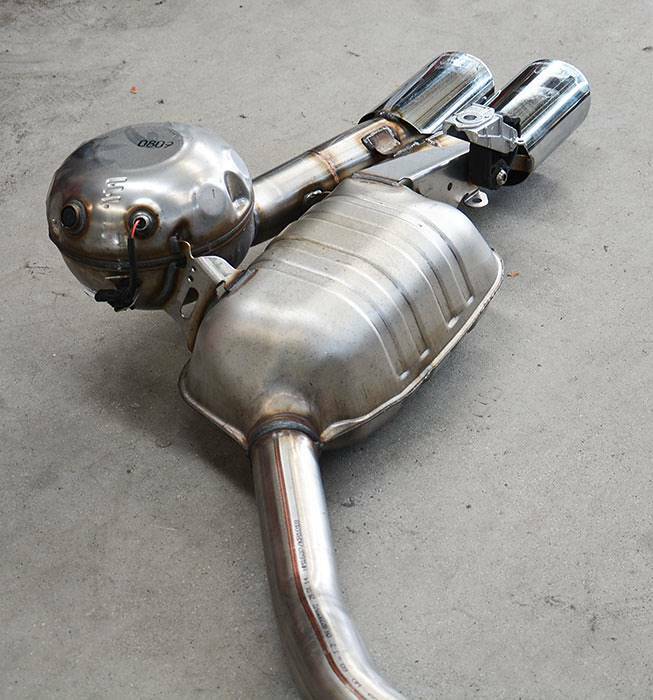 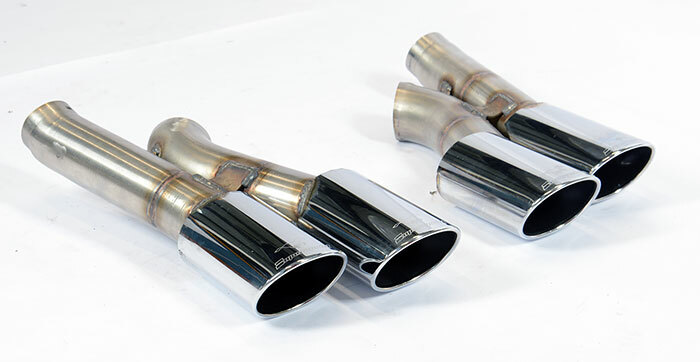 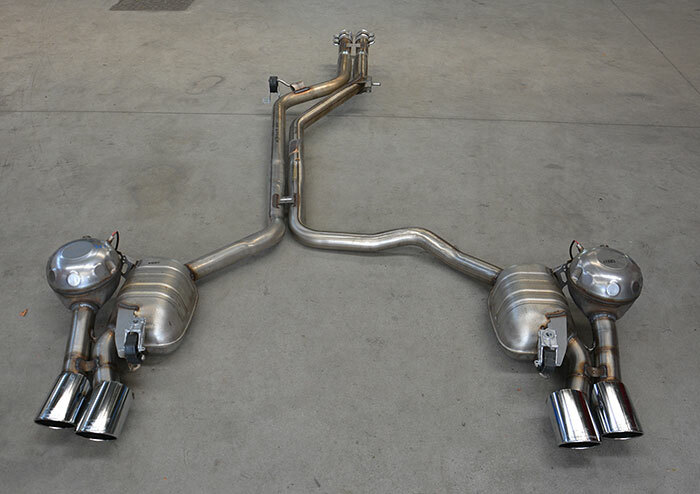 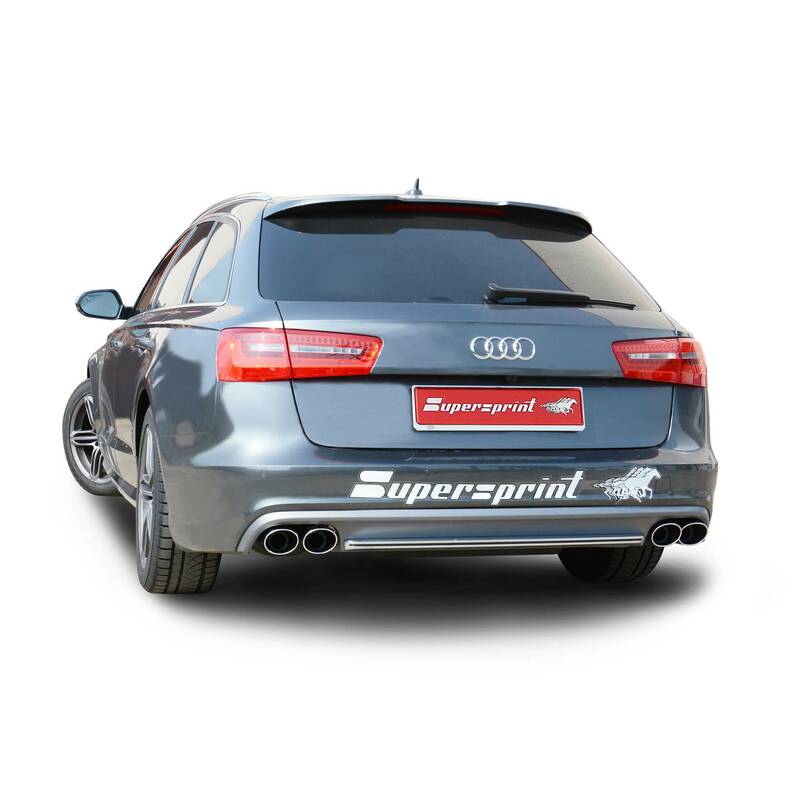 To enhance the natural V6 TDI sound we recommend the rear pipe-only components, with 100mm single rear tips for the stock diffuser, or with quad oval 100x75mm tailpipes for the S6 diffuser, compatible with the S-Line bumper. 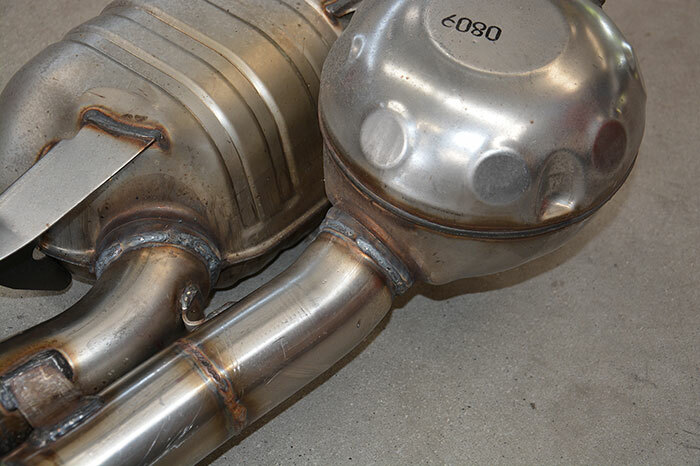 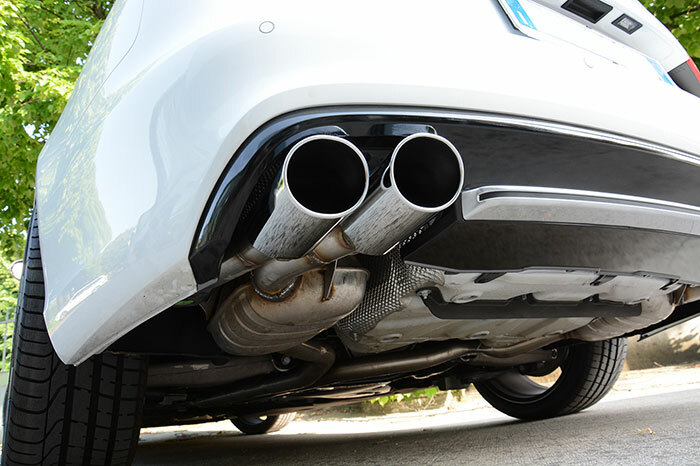 An S6-look Sound Generator compatible tailpipe kit is available, to be welded in place of the stock tailpipes. 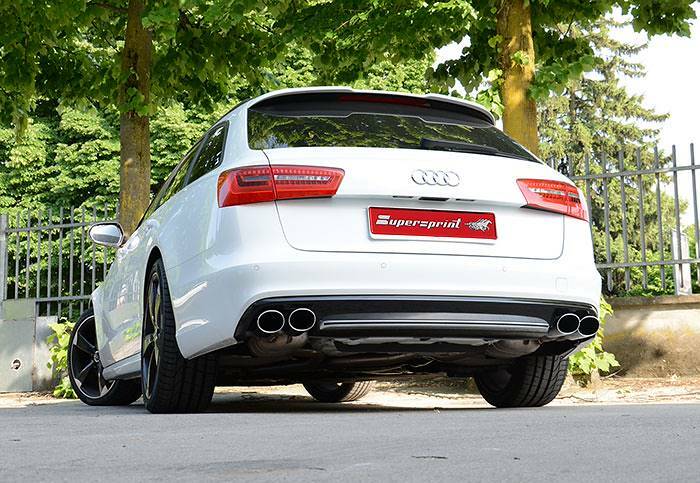 The S6-look systems are available in classic chrome or matt black finish.